It’s officially fall! I’m so excited it’s my favorite season, but I won’t be dressing for fall for quite a while. So what’s a girl to do? 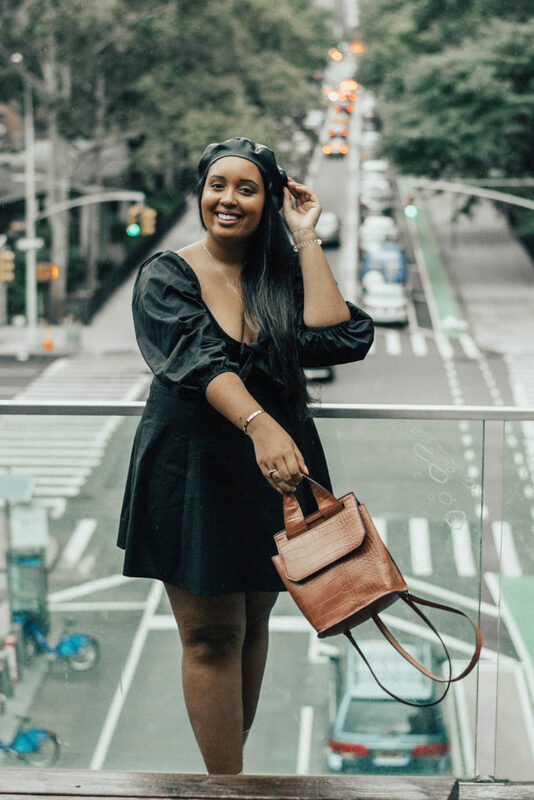 Wear transitional outfits for that awkward time between summer and fall weather! 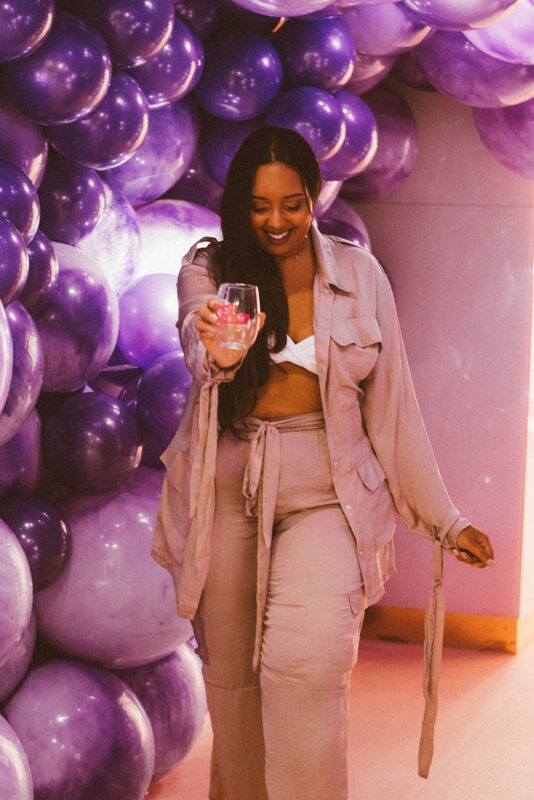 The possibilites are endless with this three piece co-ord from the Maya Jama collection at Pretty Little Thing. You can wear all three pieces together or separately. 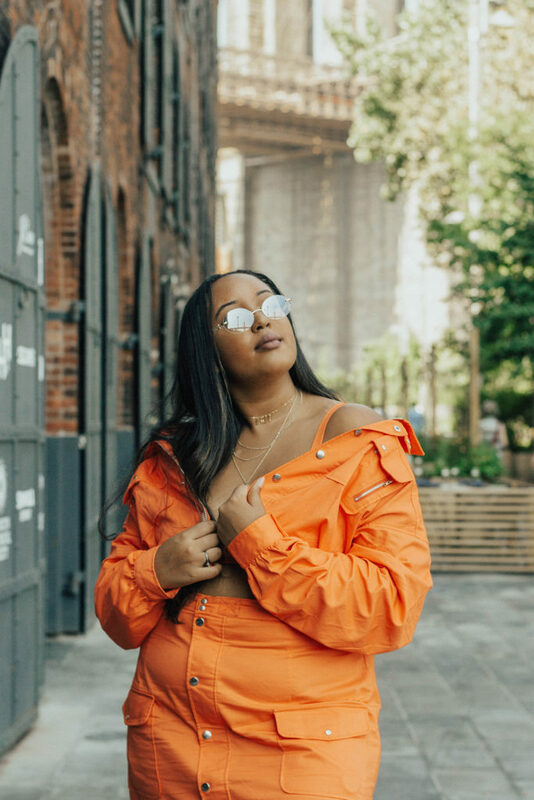 I paired the entire outfit with some neutral sneakers and statement sunglasses, and I wore it with the jacket zipped up and off the shoulder- I find the weather is perfect to wear an oversized jacket draped off the shoulders this time of year. 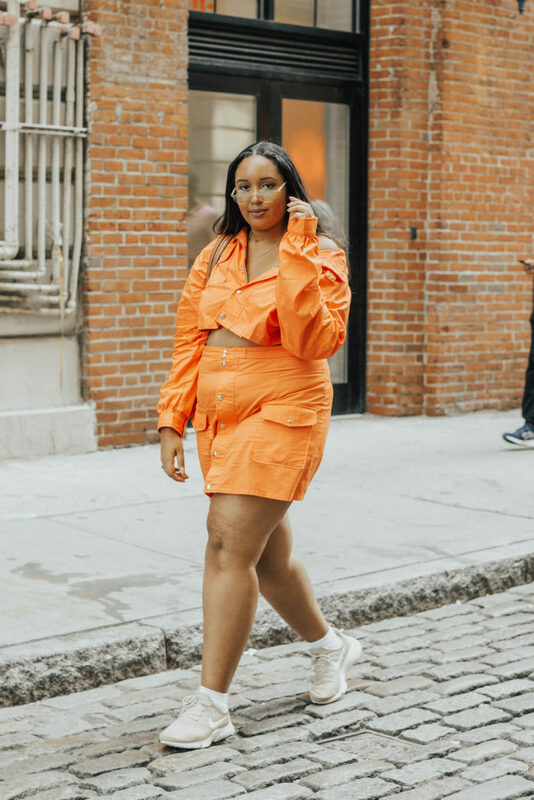 The co-ord ran true to size for me, save for the jacket, which fits oversized. 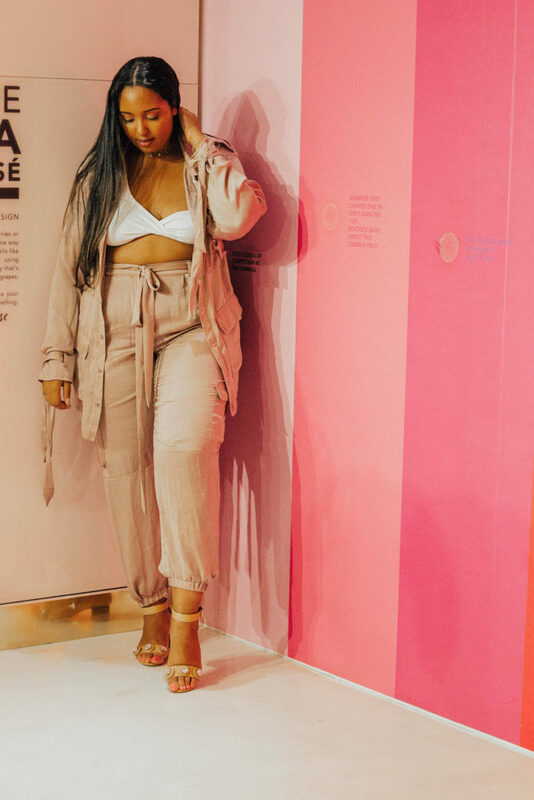 I would also pair the bralette and jacket with the white high-waist pants I wear all the time (lol), and the skirt with a colorful cropped blouse. Two of my wardrobe staples are a little white dress and a little black dress; both strapless and with sleeves. 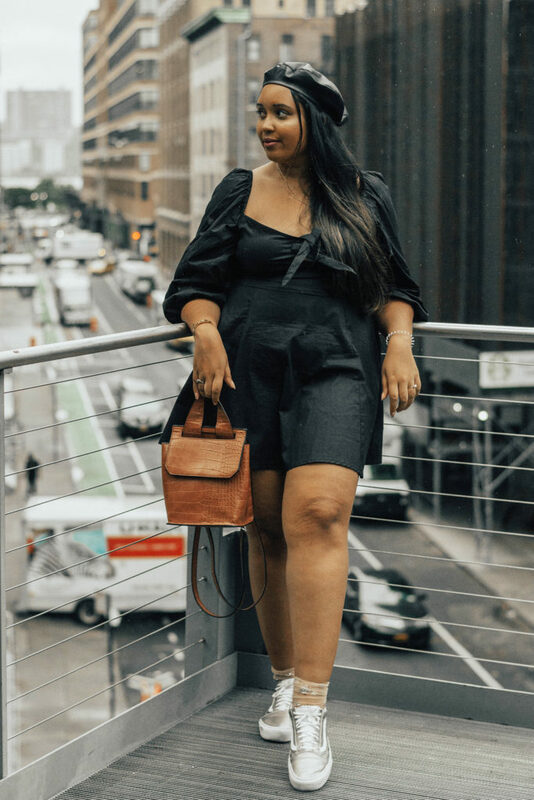 I found a beautiful little black dress from ASOS (ASOS DESIGN sweetheart neck casual skater mini dress) that is lightweight enough to be worn in the summer, but can be layered with other pieces for cooler weather. You can even push it into the fall to winter transitional time, but that’s a post for another day. 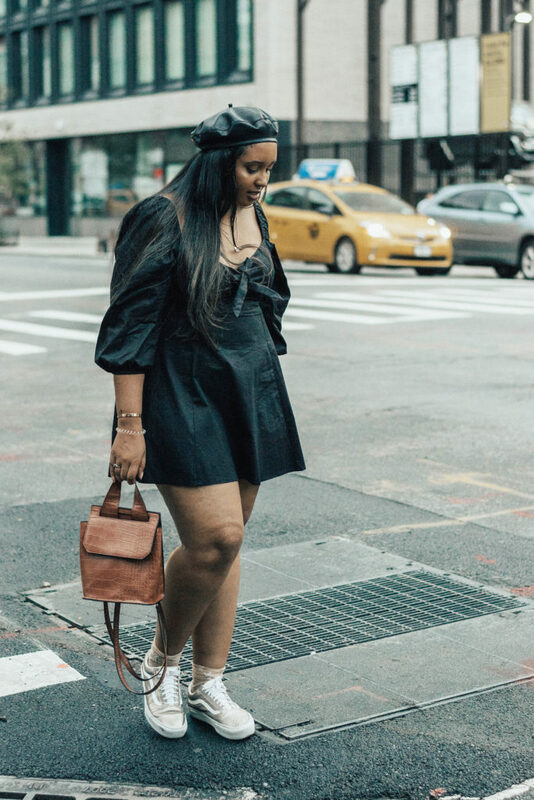 I paired my little black dress with my Vans, mesh socks, and a faux leather beret I scored at Forever21 last year. The beret adds a lot of warmth to the outfit, which was perfect for the rainy day I wore it on. The sleeves of the dress can be worn on or off the shoulder, and I love the way it looks with layered necklaces. 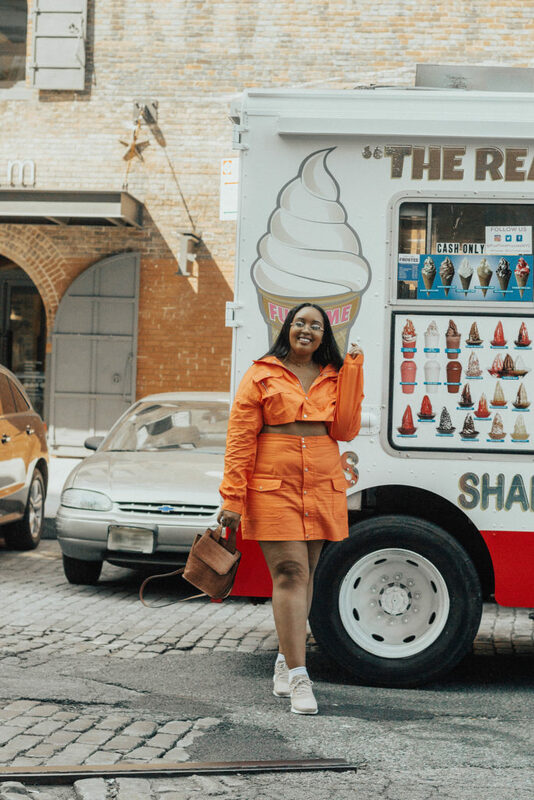 Okay, okay… I’m obsessed with co-ords no matter the season. 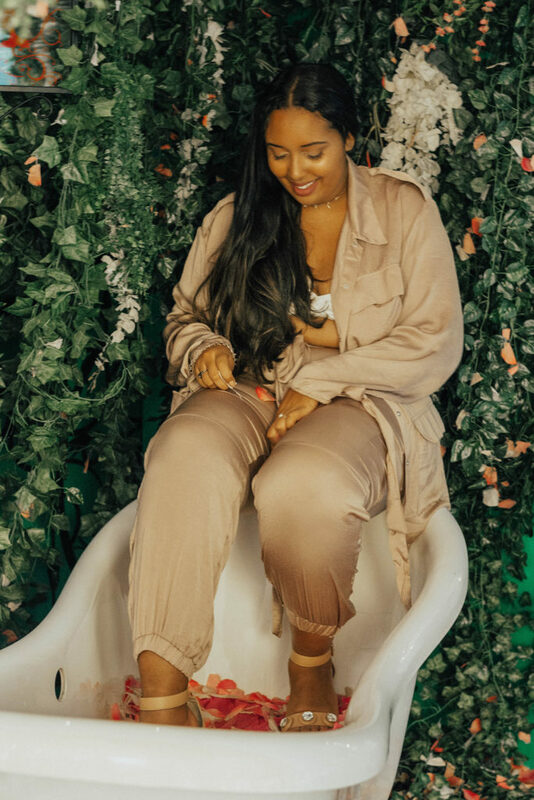 This outfit is an oldie but goodie from the Carli Bybel for Missguided collection, but the pieces are still popular enough to be in many fast fashion stores. It was actually a last minute scramble as the outfit I originally wanted to wear hadn’t even shipped yet. I paired the jacket and cargo pants combo with a one shoulder crop top and left the jacket unbuttoned, which made it feel significantly cooler than if I had closed the jacket. Choosing the right fabrics is important during this time of year; depending on where you are, you’ll want to choose thicker, heavier fabrics for the cooler weather or more lightweight and breathable fabrics (and even designs) for warmer weather. With the way Florida is set up, I’ll be wearing my little black and white dresses and summer co-ords for a little while longer, but I’m hoping to get a taste of actual fall weather soon! 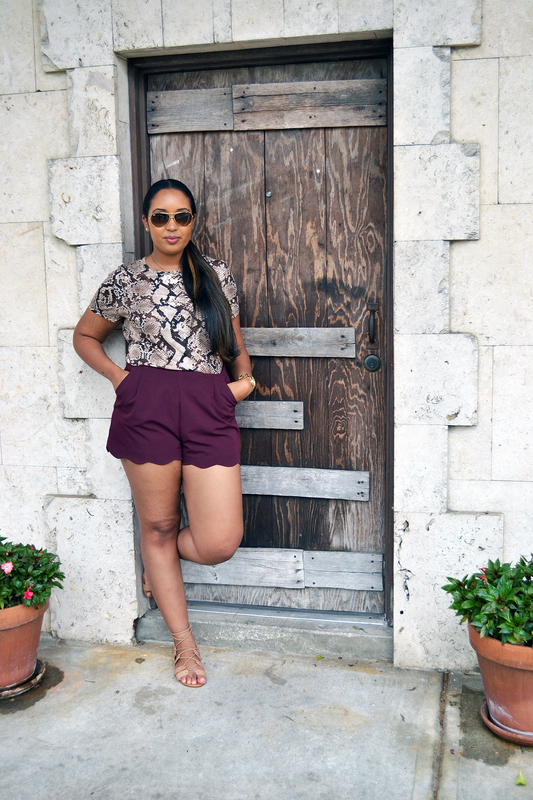 What are your favorite summer-to-fall transitional pieces? Let me know in the comments!